Please be considerate and only book online if you are serious about doing business with us. Our system merchant services takes FULL payment for most services. Your credit card is charged. Please do not play around with our booking system by booking and then trying to cancel within the hour. 50% to 100% Pre-paid Service Appointment Retainer on a major credit card is required to reserve the studio’s time for our services. Any remaining balance due for hair extension services will be due prior to your extension being installed. Please be advised that you will be required to provide a BRAND NEW RETAINER FEE to book the salon’s time. Contracted Makeover Services are not the type of service that can be “cancelled” last minute and or to postpone once your makeover contract(s) are signed. 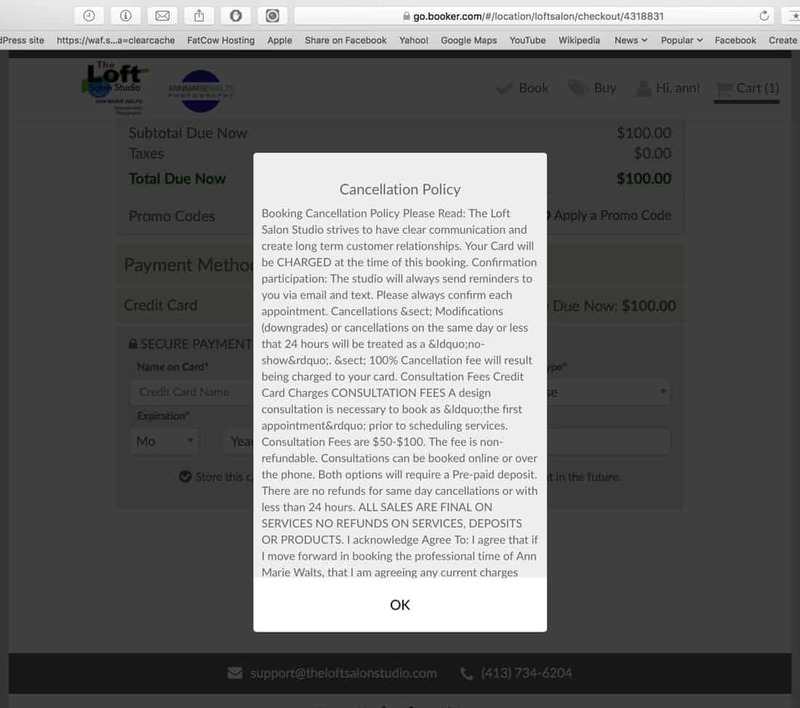 CANCELLING ON THE SAME DAY/ Less than 24 hour 100% OF YOUR FEES WILL CHARGED. Hair Extension Makeovers & Photo Shoots can take a full day of our operation hours. The lack of notice results in the lost opportunity to offer the time to another guest. That causes a loss of operation business revenue. 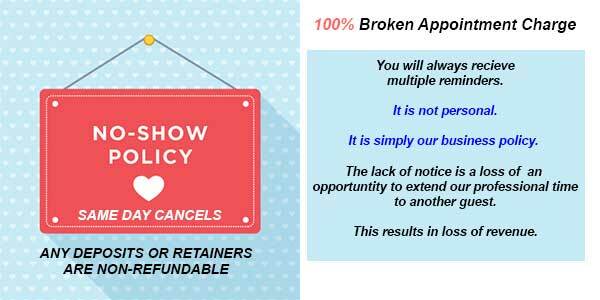 We do recognize that unfornseen things happen, however, it simply is our business policy, and clients who do not honor the cancellation policy may need or pre-pay and or *we reserve the right to to not reschedule or refuse service. Our policies are transparent and the use of our site & online booking system and making reservations through our site means that you are willingly agreeing to our policies. Please be sure to read. Great Lengths hair extensions are a luxury brand, service & product. ▶️This is a “DESIGN” appointment. 👉🏻*Please only book this if you are serious about getting hair extensions with us, and not just price shopping. What this means is that all hair color shades, hair color correction services, and or texture correction services will be discussed, and a 50% Non-Refundable Makeover contract deposit will be necessary to book your design. ▫️Great Lengths Service cost can vary greatly from client to client because each is truly a custom service. ▫️There are also many GL application options to be considered, such as lengthening, full volumizing, zonal volumizing, dimensional color work or special needs applications. ▫️For the most accurate answer, based upon the state of your natural hair and desired result, schedule a consultation is necessary to design your new look, and provide accurate pricing. Hair Extension makeovers can take 5 to 12 hours. 💇🏻Studio History :Due to the frequency of providing hair extensions, since 2006, Corporate Great Lengths has my studio on their Platinum listing, and as well my work has been featured by Modern Salon magazine. 👠My hair color work from formerly being a haircolor educator, was published by Redken, and my Celebrity Manicuring has been published in several High Fashion Magazines. 📞You are welcome to call 1-800-663-3758 Great Lengths if you have any questions, prior to booking. 🛑*Please be advised that any “NO-SHOW” appointments or SAME DAY cancellations will be subject to a 100% broken appointment charge. ❌*If you are just PRICE SHOPPING then this appointment may not be for you, however, if you book …..AND DO NOT MOVE FORWARD, after your consultation, then there ARE NO REFUNDS & ALL SALES ARE FINAL, and you will not be refunded. ✅*Information on my site is not meant to replace the need for having a consultation. 📝Booking this reservation or any of our services; means that you have agreed to our policy. 🙂Thank you for your business and understanding. ❤️Let me help you experience loving your hair again. May I bring in my own hair? No. 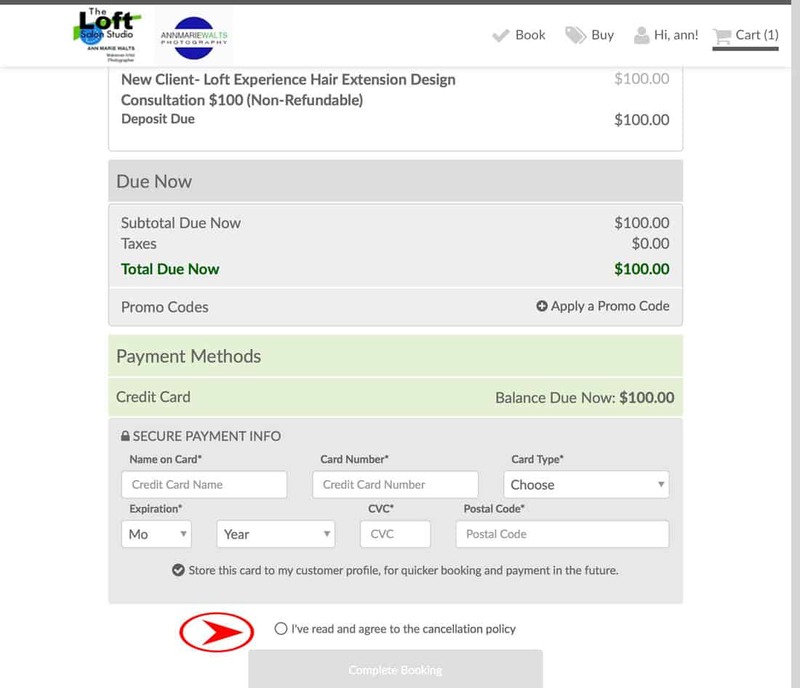 The Loft Salon Studio does not provide its professional hair extension services in this capacity. We only work with the premium brands that we carry, and that we have been certified by. This ensures quality control, and we want you to simply love your hair. Not all hair quality is equal, and Great Lengths is a premium product. 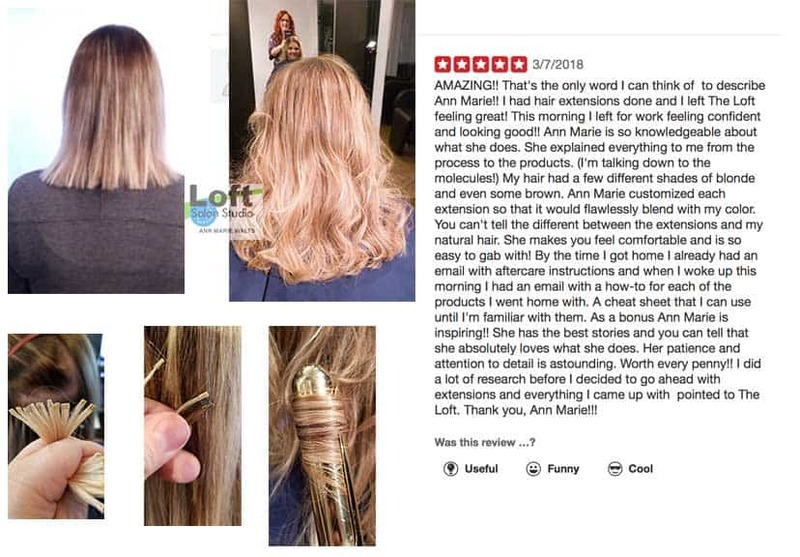 As The Loft Salon Studio is providing you with professional services of hair extension installation and a makeover design, The Loft Salon Studio that owns the supplies for the services provided. All supplies (hair color, chemicals & extension supplies) belong to The Loft Salon Studio. 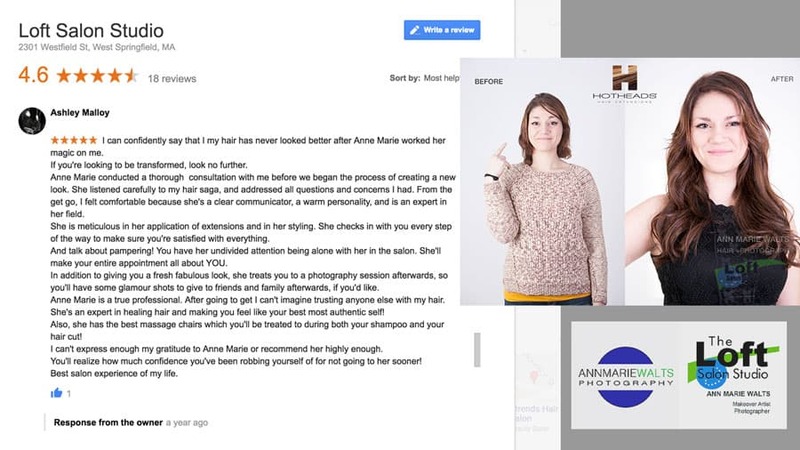 In the event that your hair extensions do not suit your lifestyle, we are happy to offer you a reduced professional removal rate. The removal rate will be *$120 per hour, if properly cared for. This solution will also be left up to our discretion. You will be subject to a broken appointment charge of 100% of the fees. As our policy is that a consultation and or deposit is taken at the time of your reservation, & our policy has been explained when the booking was made; then you card will be charged according to this policy. Our policy applies to all methods of booking. The lack of notice causes a loss of revenue and/or loss of opportunity to offer the professional time to another guest. Please be courteous. Life gets busy and the studio will send a couple of reminders for every visit. Please confirm EVERY VISIT to avoid possible cancellation. A design consultation is necessary to book as “the first appointment” prior to scheduling services. If you choose not to move forward and book the fee pays for our time for meeting with you. Consultation Fee pays for the professional advice and recommendations. This process takes 45 minutes to 1 hour. Consultations can be booked online or over the phone. Both options will require a Pre-paid deposit. There are no refunds for same day cancellations or with less than 24 hours. The Loft Salon Studio Gift Certificates are redeemable only within the State where purchased. Gift Certificates cannot be redeemed for cash. Gift Certificates are non-refundable.The value of a Gift Certificate will not be replaced if lost, stolen, destroyed, altered or used without your permission. Gift Certificates must be presented at time of service.We kindly ask that you use your certificate within 1 year of purchase. Promotional Gift Certificates would be the type that are won at a function, such as a fund raiser or from an On- Air radio campaign. This type of certificate cannot be substituted and does not have actual monetary value.This type of promotional “gift” needs to be redeemed 30 days from the time that it was “won”. This type of gift is non-transferable. We hope that you do not have “to work from home” during your appointment. However, we do understand that their may be some down time while you are chemically processing that you can utilize to keep your boss happy.We certainly are not anti-technology, but do encourage that you leave work at work…..Our main concern is that you enjoy your visits at The Loft Salon Studio! Please shut your cell phone off or put on vibrate when you are in the studio. Please refrain from using your phone during hair appointments, especially extensions. Why? Extensions are about precision, and every time you reach for your phone it causes your body position to shift. Additionally, we have created an environment to escape the “hustle & bustle” of today’s business. Up to 50% non-refundable deposit is required to book most services. Online Bookings- 100% of total is taken at time of bookings. Consultation Fees are not considered a “deposit”. Consultation Fees pay for the consultation. The studio offers private appointments for all services. Everything from hair appointments to manicure & pedicure serviceYour appointment time is just that…yours. We reserve the right to change prices and services at anytime without notification. 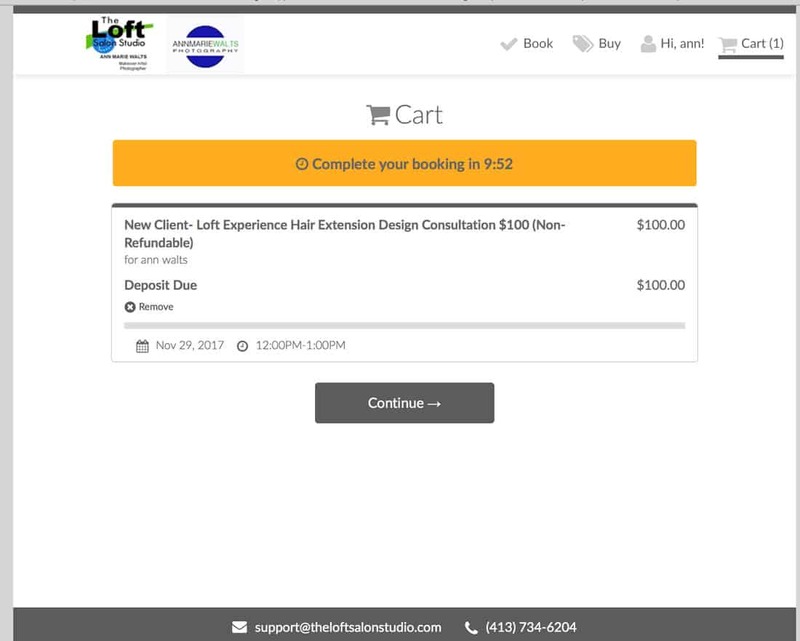 The Loft Salon Studio is committed to communication regarding what is going on at the studio, and especially when it comes to your appointment reservations. Our appointment booking system is fully automated to send out reminders. Extensive and multiple salon/spa services will require a major credit card to secure appointments.If you must reschedule or cancel appointments-THAT ARE NOT EXTENSIONS, please notify us 48 hours in advance to avoid an automatic credit card charge of 100% of the price of the services reserved. *Please note that deposits for hair extensions are non-refundable for cancellations. Please see Hair Extensions Deposit & Rescheduling policy. For a ‘no show’, your credit card is automatically charged for the full value of services. We strive to provide customer satisfaction to the best of our abilities.There are no refunds on services. We ask that you notify the studio within 72 hours of your concern. Please note that refusing the studio the chance to make an warranted adjustment; does not entitle you to a refund. Past the 72 hours there may be additional charges for the studio’s time. It is at our discretion to provide additional time. All Sales are Final -On opened- Brushes ,clips,extensions (lash and or hair) & On makeup up purchases, Xtreme Lashes Products, Hair Brushes,Wigs, Clip In Hair Extensions, Invisible Halo Extensions. Amplif-eye cannot be returned due to sanitation. Hair & Lash Extension services or treatments. Xtreme Products-Due to issues of hygiene, Xtreme Lashes & The Loft Salon Studio cannot accept product returns after packaging has been opened. Returns and exchanges of unopened, resalable products are accepted within 7 days of the date on the original purchase receipt. Buyer will be credited with his or her purchase price, less shipping, and LESS a 20% restocking fee for all authorized returns. Even exchanges of unopened/unused products may be authorized within fourteen (7) days of date on original purchase receipt, provided the Buyer agrees to pay shipping and handling costs for exchanged items. In the event that a return or exchange is desired, please contact Xtreme Lashes within fourteen (14) days of product receipt at 413-734-6204 to receive a return authorization number (RA#) and shipping instructions. Once Customer Service has issued a RMA#, Buyer must return the item within seven (7) calendar days. Hair Styling Retail products may be exchanged with an original receipt within 7 days. If you are late for an appointment, it may be necessary to reschedule an new appointment that will result in a new booking fee. If we are able to accommodate you for the remainder of the time, you appointment will end at the schedule time for the same fee. If you are so late that the services can not be rendered, then you will be charged 100% of the fees, and you will need to schedule a brand new appointment. We strive to maintain the good business relationships to ensure a good experience for both you and the studio. In the event that the studio is addressed with profanity, unnecessary rudeness or un-reasonable demands by a client; we will reserve the right to refuse service. Children are only permitted in the salon or spa area when having a service. For safety reasons and insurance purposes, no child may accompany you while you are having a service. We do not have the facilities to care for children. We love children, and we hope you understand, we cannot assure their safety in a professional environment. Thank you for understanding. We suggest you wear our provided robes when receiving ANY service.If you choose not to change, we will not be responsible for any damage to clothing. WE CANNOT BE RESPONSIBLE FOR LOST OR DAMAGED CLOTHING.We cannot be responsible for loss or damage to personal articles, including clothing , electronics, jewerly, and accessories.